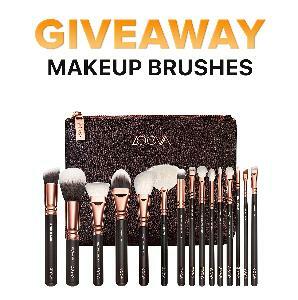 Contest: WIN: Amazing ZOEVA Rose Gold Brush Set! WIN: Amazing ZOEVA Rose Gold Brush Set! Prize: Zoeva Rose Golden Complete Set featuring 15 handcrafted brushes made of rose golden ferrules and matte handles in Black including the Defined Buffer, Luxe Fan and Wing Liner. Comes with an elegant dark brown clutch. Statistics: This contest was opened by 95 and entered by 12 ContestChest.com members. 13% of those who opened the contest, entered it.